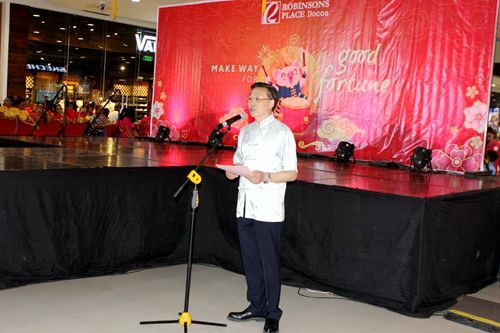 On 10th February, the Chinese Consul and Head of Post to Laoag Zhou Youbin attended the Chinese New Year Celebrations at the Robinsons Place Ilocos together with Hon. 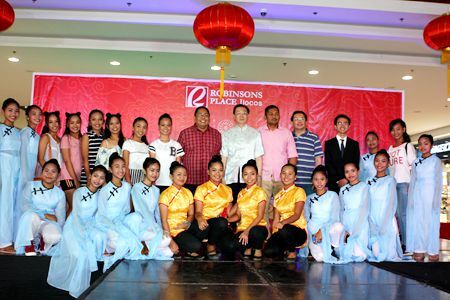 Vice Governor Angelo Marcos Barba and local Chinese Community. 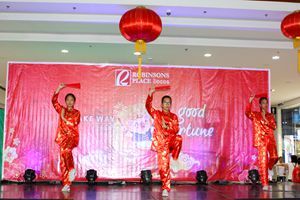 Consul Zhou extended his best new year wishes to the all in his speech, and was committed to deepen the cultural exchange between Ilocos Norte People and Chinese People in the future. 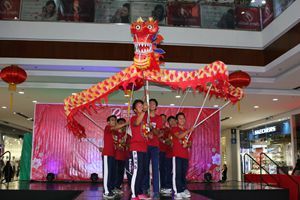 Students from Paoay National High School, Paoay Lake National School and St. Santiago Chinese School put on wonderful performances of Chinese songs and dances including dragon dance, Chinese vocal solo, Taichi fan and group dance. · Chinese Consul and Head of Post Zhou Youbin Paid a Courtesy Call to the Former Senator Ferdinand R. Marcos Jr.